Superman along with other hero figures such as Spiderman and Batman have grabbed my young grandsons’ attention. They are crime fighting superheroes with a moral compass acting with super-powers for the benefit of humanity. I have the impression today the heroes are more violent than in the past. However, I recognise these all-action figures are very popular today judging by the plethora of superhero films. But are they good role models to identify with? 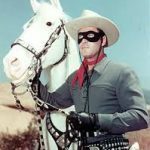 As a boy, I watched over 200 television episodes of The Lone Ranger. He was a fictional masked former Texas ranger who fought outlaws in the American Old West. I loved his energy and bravery in fighting against crime for what was right. Whenever he was forced to use guns, he never shot to kill, but instead tried to disarm his opponent as painlessly as possible. 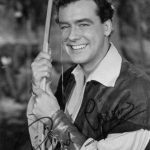 I also saw over 140 episodes of the television series The Adventures of Robin Hood. 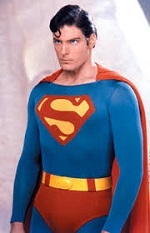 Here was another boyhood hero. According to legend, he was a champion of the common people. Being a brilliant archer and swordsman, he fought injustice with courage and audacity. He was said to rob the rich to give to the poor. I wonder what effect these programmes had on me. Was having a hero a healthy thing for my development? Heroes certainly touch our hearts and fill us with warm approval. We can identify with them. If we need courage to face real hardships in life, then perhaps having a strong hero image within our heads can be helpful? For myself I’m thinking of the hero who has emotional resilience. After polling a number of people, Professor Scott T. Allison of the University of Richmond, discovered that heroes are perceived to be highly moral, highly competent, or both. More specifically, heroes are believed to possess eight traits. They are said to be smart, strong, resilient, selfless, caring, charismatic, reliable, and inspiring. Apparently, it is unusual for a hero to possess all eight of these characteristics, but most heroes have a majority of them. Heroes tend to care about what is good. They get involved with dangerous situations despite personal cost. They do this without wanting any gain for themselves. For example the writer Fran Striker conceived the Lone Ranger character as believing that everyone has within himself the power to make this a better world. He wrote that God put the firewood there but that every man must gather and light it himself. The Lone Ranger exemplified the idea that one should be prepared physically, mentally, and morally to fight when necessary for what is right. We might question excessive admiration of any one individual. Whether it be a fictional, legendary or an actual person. Benito Mussolini in Italy in the 1920s created the political cult of personality, also emulated by Adolf Hitler in Germany and Joseph Stalin in Russia. This cult phenomena arose when those in power in these three countries created an idealized, heroic, and venerated image of the leader. They used unquestioning flattery and praise. They employed the techniques of mass media, propaganda, the big lie, spectacle, the arts, patriotism, and government-organized demonstrations and rallies to do this. Should we not pause before welcoming some idolised hero into our lives? What is it is about the hero that we admire? Is it their charismatic leadership in creating a sense of social cohesion and social order? Or are they giving us permission to discriminate and hate. Living in the 18th century spiritual philosopher Emanuel Swedenborg wrote about idolatry in terms of the worship of anyone or anything that reflects a prioritising of self-interest, pleasure and material things rather than feeling concern for others and things of the spirit. From what he wrote about idolatry, I would understand we should not idolise our heroes but pay attention to the good things the hero represents. One might argue that actually most heroes have potential benefit to us. This is because they are figurative images within our own mind. Ones that encourage us to reconsider our decisions and view of life. Isn’t conformity to social convention sometimes a problem? For example if it means extravagance keeping up with the Jones’ or conformity to superficial sentiment. Deeper reflection, inspired by a hero image, can offset the risk of our personal choices going along with the crowd. We all are beset to some degree or other by a hidden side to our nature – a shadowy part of our psyche plagued by anxiety, weakness, or anger. Those with psychological courage venture into this underworld of the psyche and face what is there. And do something about it. The hero defeats the ‘baddie’. We need to find the hero within ourselves. It is easy to fight the ‘enemy out there’. Harder to recognise the ‘enemy within’ – one that is not a projection but rather a shadowy part of oneself. Hi Karen. Thanks for your comment. It was good to hear that there are female heroes as all my boyhood heroes were male. Since early adulthood I have also greatly admired Helen Keller as a role model for overcoming the huge handicap of no sight and no hearing to lead a fulfilled and useful life. Finding that spirit within myself would be wonderful. Regards Stephen. Previous Previous post: Miracles – Do they happen? Next Next post: The Good life, or an ancient triad.